Welcome to the web home of prize winning photographer and digital artist G. Loie Grossmann. I will be developing this web site in 2005 to illustrate the custom photographic services listed below. For now, please check out my new passion, photoArt. These images are available on stretched canvas, 12" X 18". They are mixed media, giclee photo prints that are painted with acrylics. Available for sale. Click on a thumbnail below to enter the art gallery. 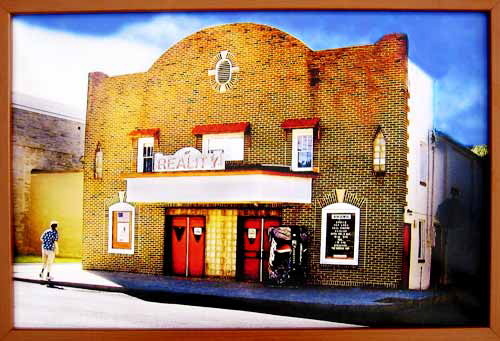 Check out Loie's photoart currently on display at the Manayunk Art Center. Contact me to let me know how I may be of service to you in your photographic and digital imaging needs.